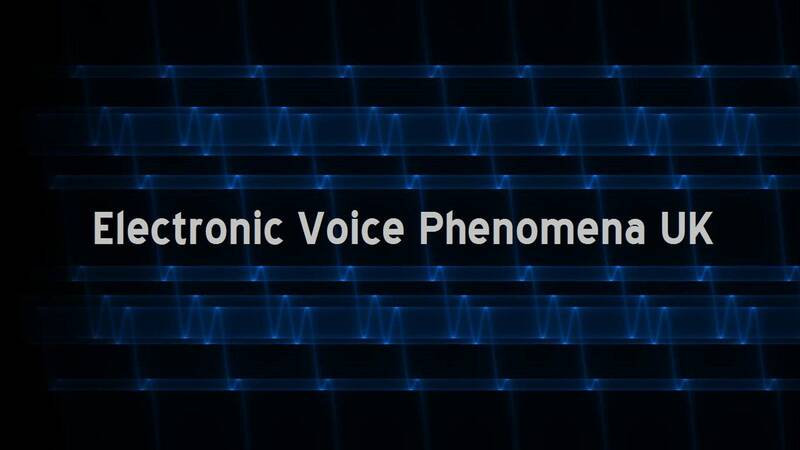 Electronic Voice Phenomena EVP & Paranormal Investigations. - Camera Spectrums Explained. What Camera & Camera Spectrum's. 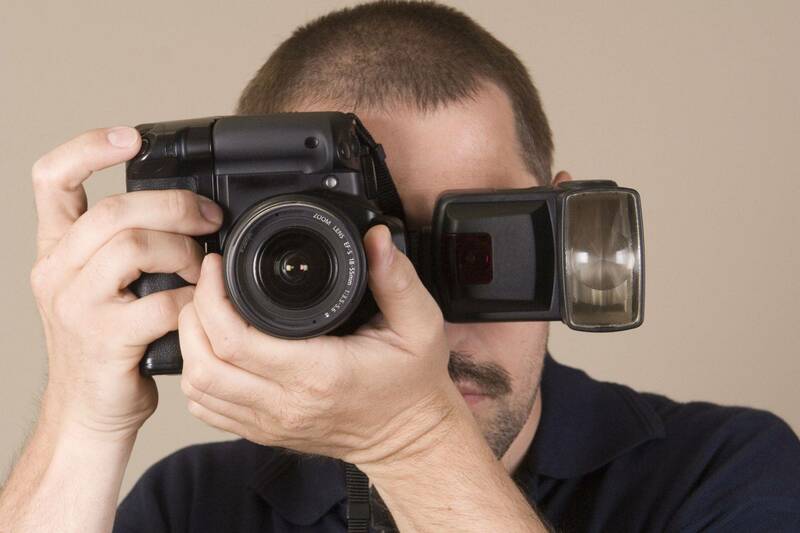 One of the most basic 'must have' on any investigation is a camera. Many use the inbuilt camera from their mobile phone, which in fairness, are pretty good these days. You do need a minimum of approx 10 megapixel resolution to ensure when the photo is magnified the image remains clear and not blurred, this of course depends on how much you enlarge or magnify the photo. Most cameras have options on image pixel, the best advice is to use the highest possible. Mobile phones play havoc with other equipment such as EMF meters, so I also suggest you turn your mobile phone off but keep it with you in case of emergency. It is advisable if your taking large numbers of photos that you keep with you a spare memory card. CCTV & Night Vision: Is common place in our towns and cities as well as for home security. Over the last few years paranormal groups have incorporated night vision CCTV and often with excellent results. 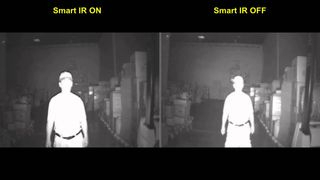 If there is sufficient light source on viewing the CCTV monitor, you will see normal colour footage, but when the light is poor or none existent the camera will emit infrared light normally via a number of small LED's as well as whatever light is available and you then view the footage in grey scale and often with a green tint. The infrared light emitted can not be seen and the reason why the military use night vision, the enemy is thinking they are hidden in the darkness when the fact is they are nothing like and are clearly visible. One of the advantages with night vision is white areas show up clear and it's still possible to view dark shadows. White mist can be seen as long as the source is in fact being broadcast within that infrared spectrum. Night Vision as used by the Military. With infrared you are also able to incorporate thermal imaging This allows you to look into the heat signature of any possible target. Often used by Police helicopters to track a fleeing subject that maybe hidden from night vision but shows up on thermal imaging. Helpful also to trace leaks such as water or substance which gives off a different heat signature to it's surroundings. Thermal imaging has been used in paranormal investigations for some years but with very limited results. The technology is also expensive with a basic thermal imaging device around £500. In principle, if something is hotter or colder than it's surrounding then the thermal camera should show that, however, given sudden temperature changes are common place with paranormal investigations you would of expected more consistent results with thermal cameras, but it's not been the case as explained elsewhere on this web site. If you have money to burn then invest in one, but for me the money would be better spent on equipment that you know is more productive. Differing Light Spectrum's. There is mounting evidence that 'spirits and ghosts' use differing spectrum's when manifesting but not at the same time. In other words, you don't capture the object on Night Vision but you do on Full Spectrum. 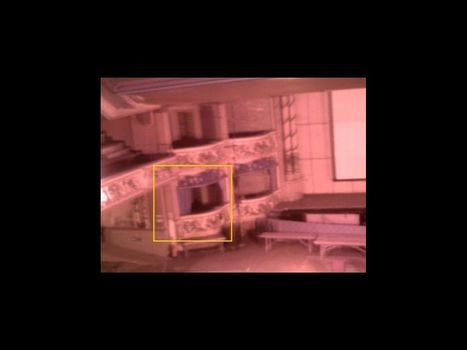 Full Spectrum images use partial ultra violet as well as partial infra red as it's make up with encouraging results when used by paranormal investigators. You can buy a modified compact camera for full spectrum for about £160. These have some modifications (hacks) to allow full spectrum photographs to be taken in pitch darkness due to it's flash and processor being adapted for that purpose. The camera will be of little use for any normal photos though, a consideration you will need to make. If you intend to also use it for full spectrum movies in darkness, you will need an additional lighting pack which will also need to be self powered. With this type of full spectrum camera the colour of the targets have differed. For example, I have seen footage of a purple mist move and hover above a sofa before dissipating. 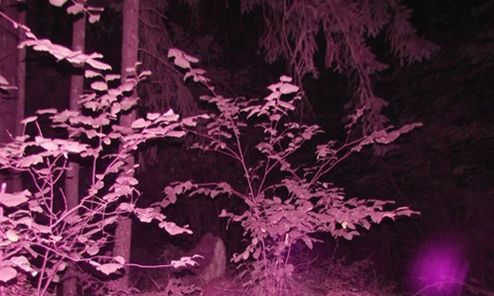 The same image could not be seen with a normal camera or night vision. The colour differences seen and evidenced could be due to the 'type or strength' of the 'spirit energy' as it manifests. Using different coloured lighting when filming, reds, greens and blues have been common place for sometime, the problem with that method is your only able to capture a spirit which falls outside that colour, full spectrum should ''in-principle" capture all the colours of the spectrum as well as it's tone, darker and lighter. Full Spectrum cameras offer an affordable alternative to night vision and normal camera footage. A modified compact camera costs around £160 with a further £70 for the powered IR light should you need to also take full spectrum movies. So what camera should it be? : Given when you investigate you need the right tools to do it properly, I suggest all three or at least these first two. 1. Normal camera for photos and movies. 2. Full Spectrum for again photos and movies. 3. 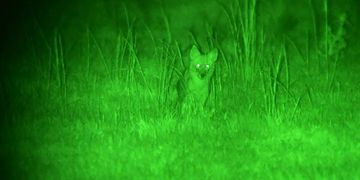 If possible, CCTV with night vision capability.